Kindly note that the date for this event has been changed from September 12 to September 26. Please email us at info@laundromatproject.org with any questions or for updates. Join 2018 Create Change Artist-in-Residence Leslie Jimenez for this workshop for children and parents. Leslie will continue to share more about her ongoing project A World Inside Drawing with children and their families. 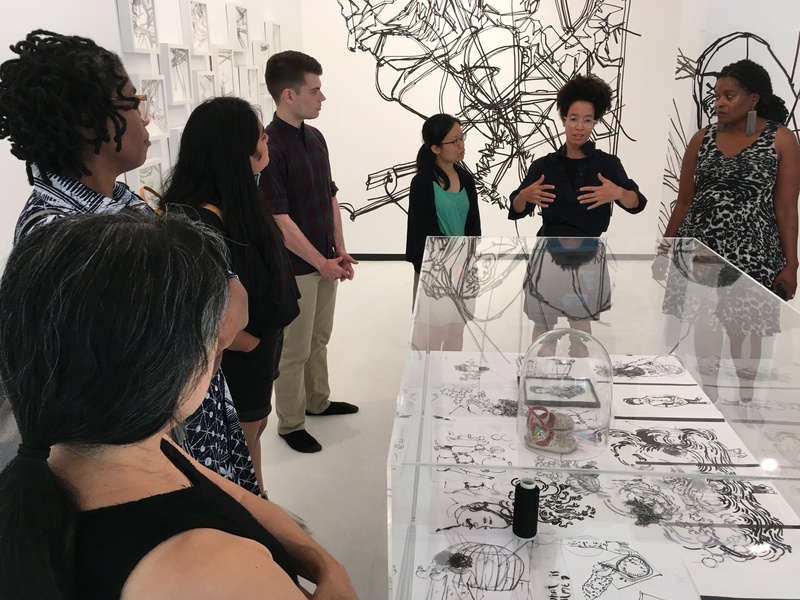 During this hands-on workshop, families will share their neighborhood stories while creating mixed media collaborative artwork along with the artist. The new works will be collected and incorporated into a growing site-specific installation for A World Inside A Drawing. More information about Leslie’s project A World Inside Drawing here.